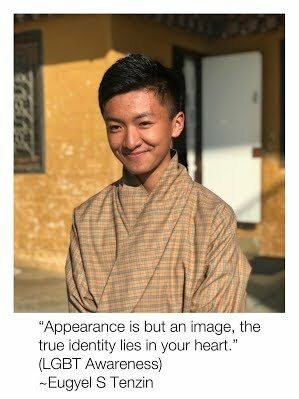 On the 6th, 7th and 8th of February, Druk School conducted intensive value sessions on various topics and areas of life’s discipline that would be some of the pertaining issues of tomorrow if not handled properly. On the 6th, we had Ms. Dechen Selden and Mr. Phuntsho from Rainbow Bhutan facilitating an awareness session on the LGBT+ community. The school saw the need to sensitize our students about this as we need to teach our kids to be comfortable in their own skin and to be more inclusive as members of society. We are glad that our students can reflect on the sessions and derive their own versions of values. We also had the dynamic Dr. Meenakshi from RENEW who presented on various aspects of Adolescent Risks. As young adults, it is imperative that our students are trained and equipped with the soft skills that will add to their mental and physical well being. On the 7th, we had a very informative session by our own teacher Ms. Rachana Sharma who facilitated a mini workshop on Bullying. She covered an array of topics related to the theme including cyber bullying. On the same day, our Dzongkha Lopens did an important session on Zhaptoen and Tomchoe. Our students did an intensive practice of the two texts. On the 8th , we had one of the most impactful sessions of the entire program. Chithuen Phendhey Association, Care Bhutan and the Royal Bhutan Police rendered their support to talk to our senior students are substance abuse. It was a invigorating session where our students were walked through the understanding of substance abuse , their effects, disadvantages in line with law and impact on one’s mental, physical and social wellbeing. For this, we would like to thank Col.Lt. Sonam Goenzing from RBP, Mr. Dawa Penjor from CPA and Mr. Thinley Dorji from Care Bhutan for considering our youth important and taking time out to facilitate the session.